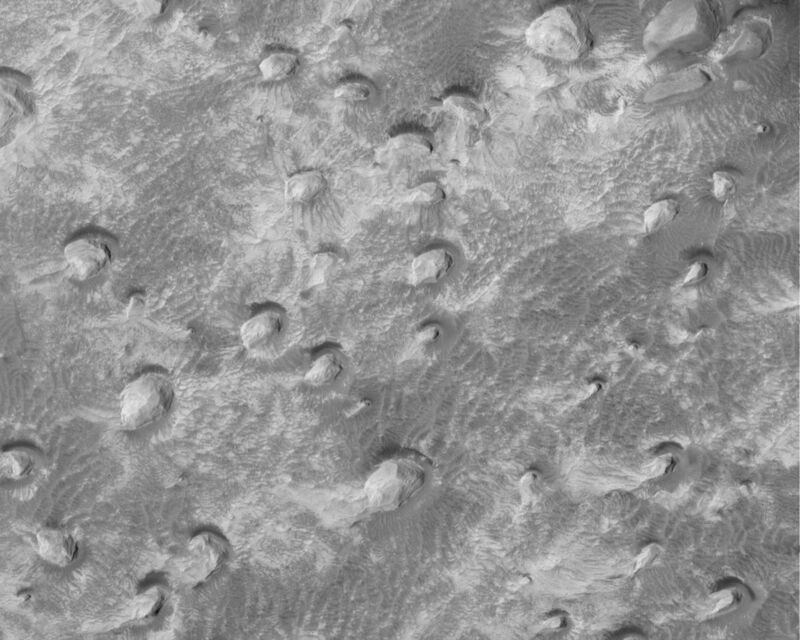 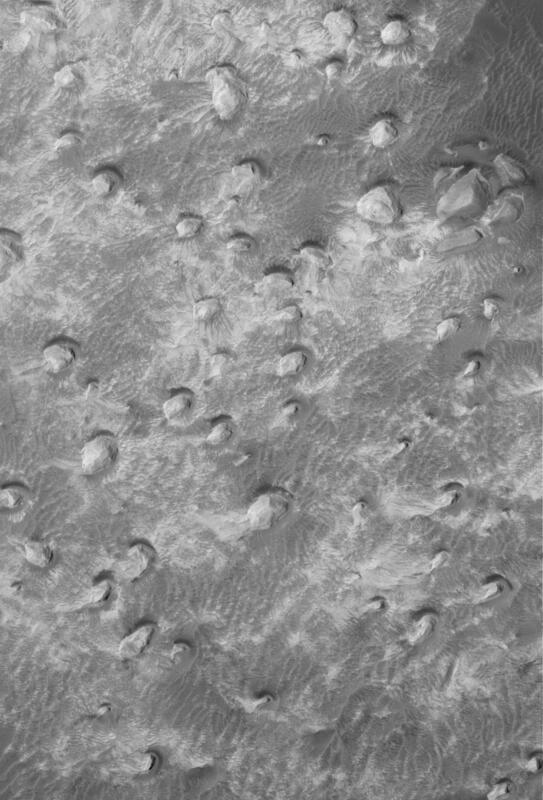 This Mars Global Surveyor (MGS) Mars Orbiter Camera (MOC) image shows a variety of textures observed on a south middle-latitude plain east-southeast of Hellas Planitia. 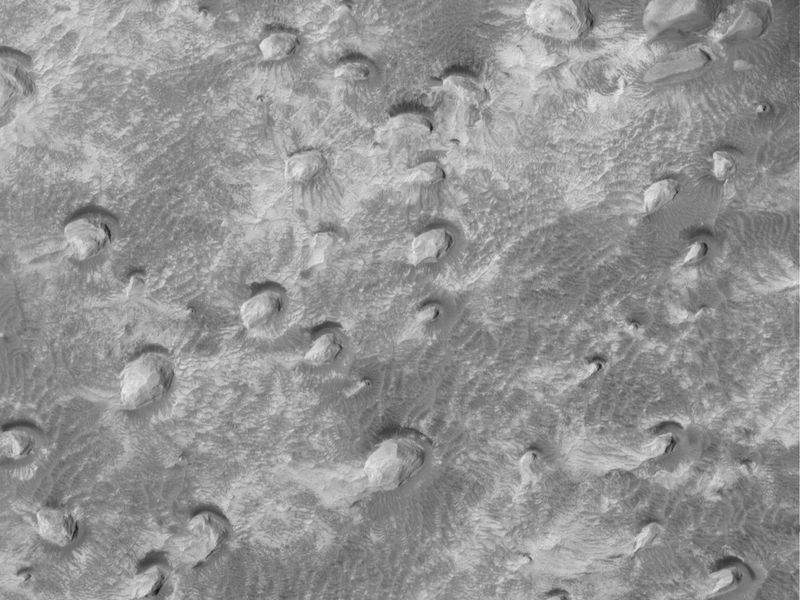 Dark streaks left by passing dust devils are practically ubiquitous across the scene, including the transition from the texturally-smooth area (the majority of the image) onto the circular, rough feature near the right (east) edge of the image. 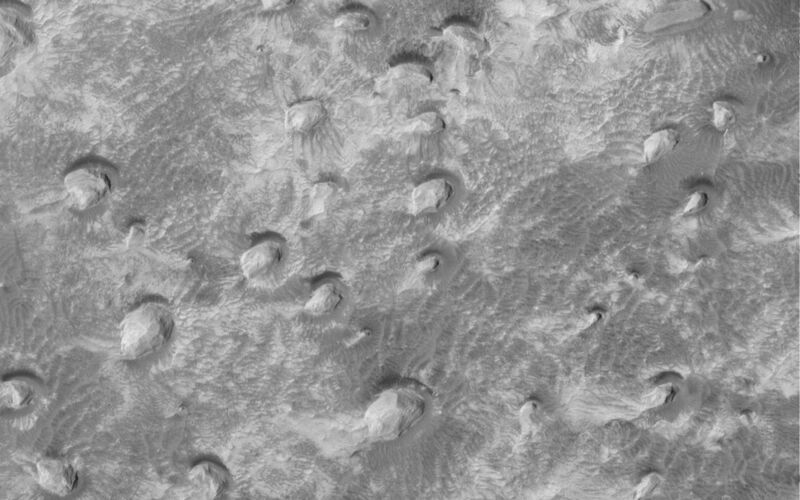 The circular feature might once have been the site of an impact crater; perhaps this is the remains of its floor, and the rest of the crater and the rock in which it formed was removed by erosion.